BEIJING (REUTERS) - Reports that China had deployed an advanced surface-to-air missile system to one of the disputed islands it controls in the South China Sea were created by certain Western media, the country's foreign minister said on Wednesday (Feb 17). Foreign Minister Wang Yi also told reporters that he hoped the Western media would pay more attention to the lighthouses China is building in the region. Taiwan and US officials told Reuters and other media outlets on Wednesday that China had deployed the missile system. At the same news conference, Australian Foreign Minister Julie Bishop, who is visiting China, urged restraint in the region and called on all sides to settle disputes peacefully, adding that Australia does not take sides on South China Sea claims. 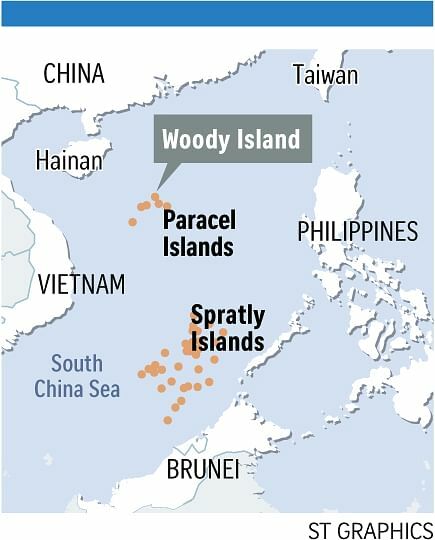 China claims most of the South China Sea, through which more than US$5 trillion (S$7 trillion) in global trade passes every year, and has been building runways and other infrastructure on artificial islands to bolster its claims.